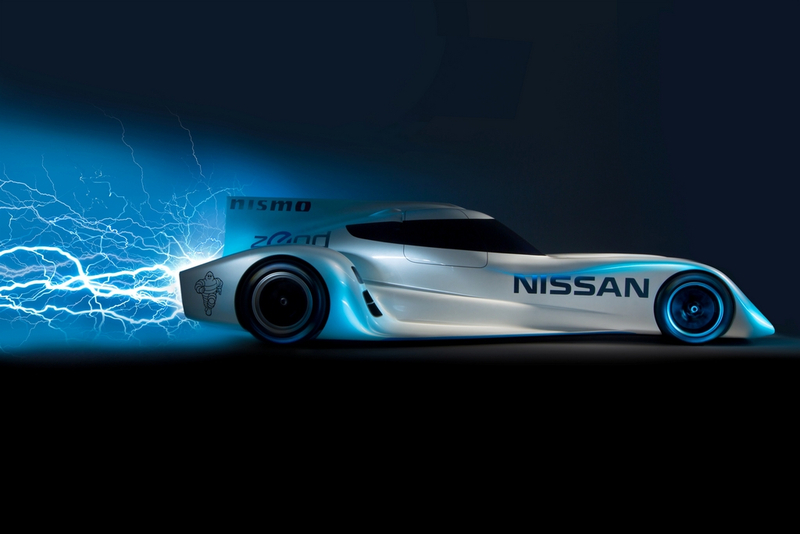 In the latest move for electric vehicles, Nissan has revealed their work on an electric racing car that can hit speeds of over 180mph. Taking cues from the Nissan LEAF, the manufacturer’s first 100% electric car, which is available commercially, the new race car will use the same lithium battery technology according to the engineers. The ZEOD RC (Zero RC Emission On Demand Racing Car) is already scheduled to hit the track at next year’s Le Mans 24 Hour race, which will be quite the endurance test for the new breed of race car. The ZEOD RC will be featured in the ACO’s ‘Garage 56’ entry, which is a spot in the race specifically for new vehicles and innovative technologies. “Nissan has become a global leader in the development of zero emission automotive technology and the Nissan ZEOD RC will allow us to further develop those capabilities using the toughest endurance race in the world as a mobile test bed to test the potential of our planned LM P1 power train,” said Andy Palmer, in a press release from Nissan. He is the Executive Vice President and Executive Committee member at Nissan Motor Company Limited. Ben Bowlby is the designer behind the electric race car, who concedes that the current battery technology simply does not have the necessary energy storage capacity for a car to complete a Le Mans race solely with electricity but insists that the ZEOD RC is a vital advancement in the electrification of motorsport and the use of electric cars, broadly speaking. The ZEOD RC car will be put to its first test later this summer followed by more rigorous tests in the coming months to ensure it is ready to race in Le Mans.